Which, they did a fine job of it, but never liked it. The most common attack employment of the Vought F-8 Crusader in attack was as flak suppression for Alpha Strikes over North Vietnam. 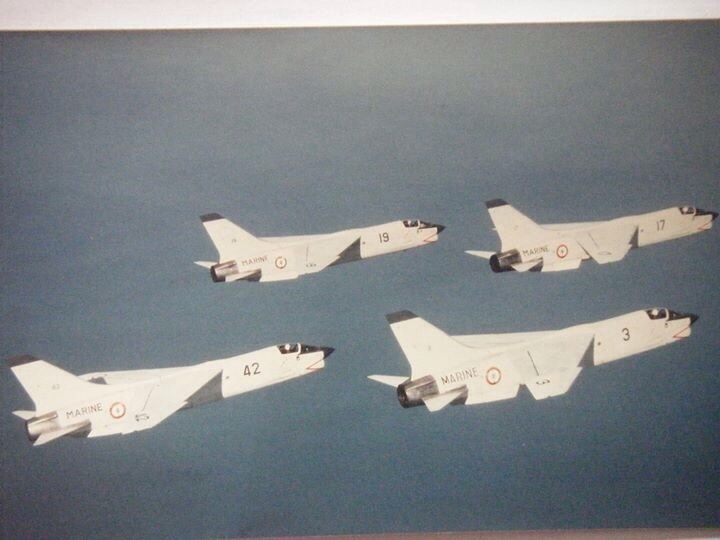 But the preferred mission for Crusader drivers was always and ever hunting MiGs. I’ll admit I never knew about the Shrike tests. And I can guess that the ‘sader guys were quite happy they never got tasked for the Iron Hand mission. 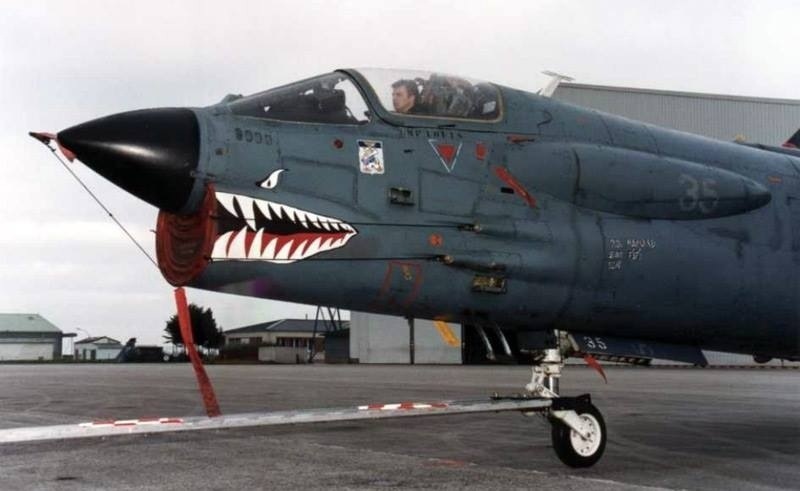 Author XBradTC2Posted on October 19, 2015 Categories marines, navy, planesTags F-8 Crusader, marines, navy, planes7 Comments on Crusaders Attack! 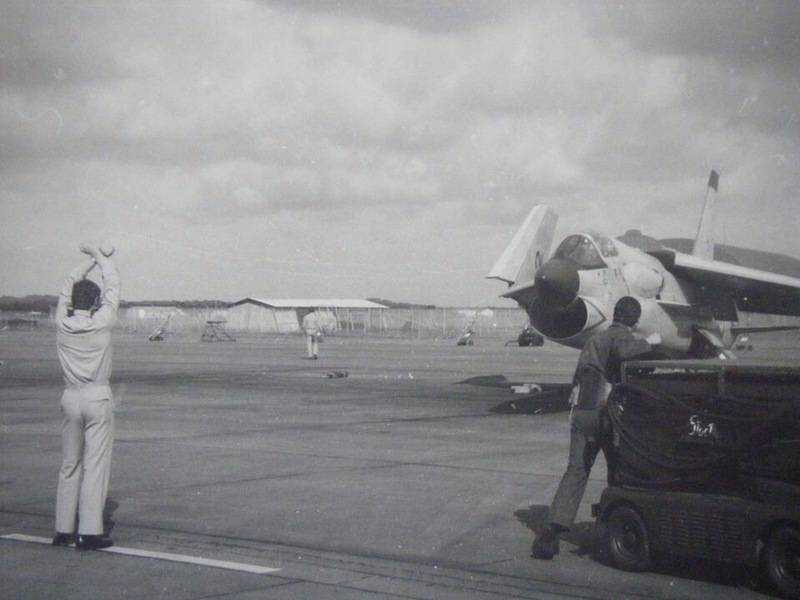 The legendary F-8 Crusader served with the Aeronavale from 1964 (trails starting aboard Clemenceau in 1962) to 2000. 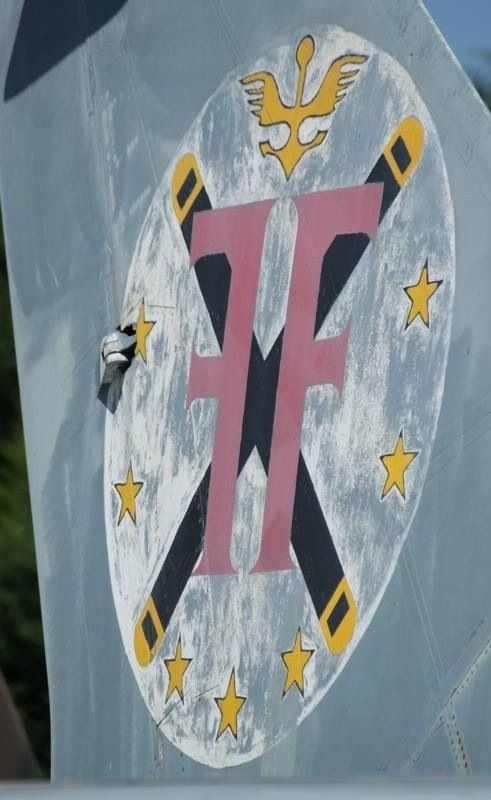 The Aeronavale used the F-8E(FN) initially. 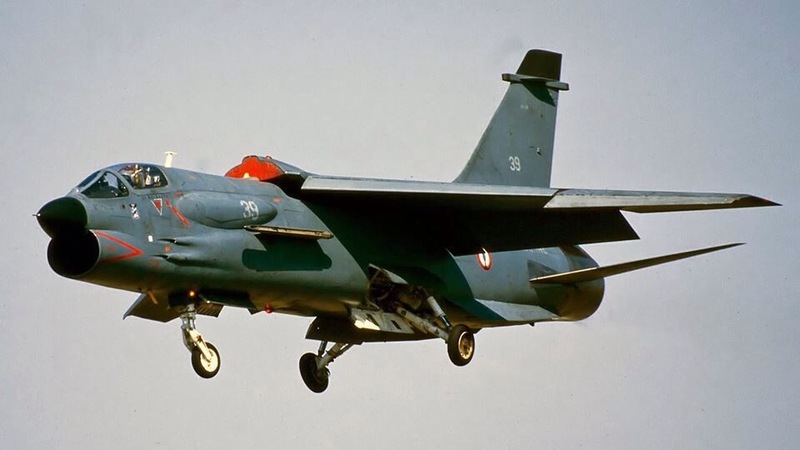 The FN had the fire control system modified to carry the Matra R.530 missile (in addition to the Sidewinder). In addition the wing incidence angle was increased from 3 to 5 degrees to accommodate operations from the decidedly smaller aircraft carriers. 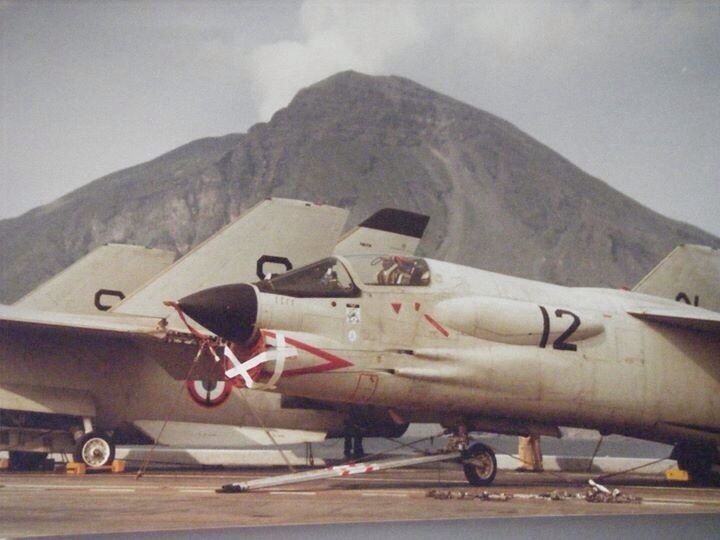 Later in service 1979, the FN was upgraded to the standard F-8J with a modified afterburner and J model standard wing. The R.550 missile was also added. 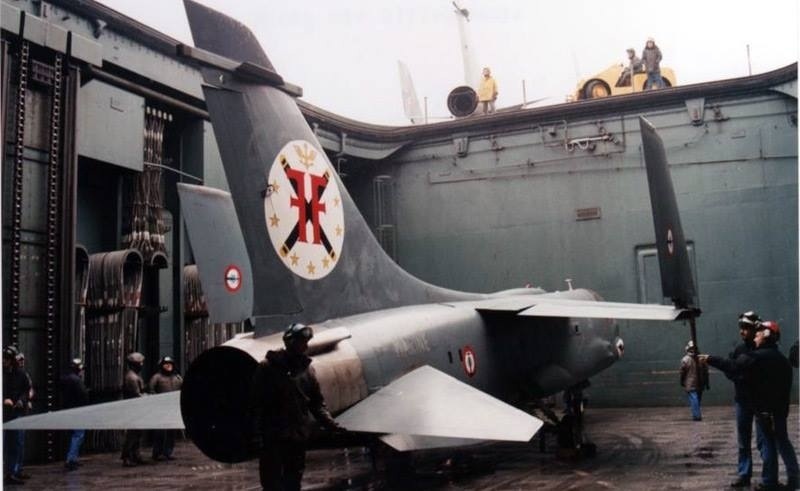 Later again in 1989 17 F-8E(FN) were modified to the F-8P (P for prolonge) with rewired electrical and hydraulic systems and the addition of a radar warning receiver. 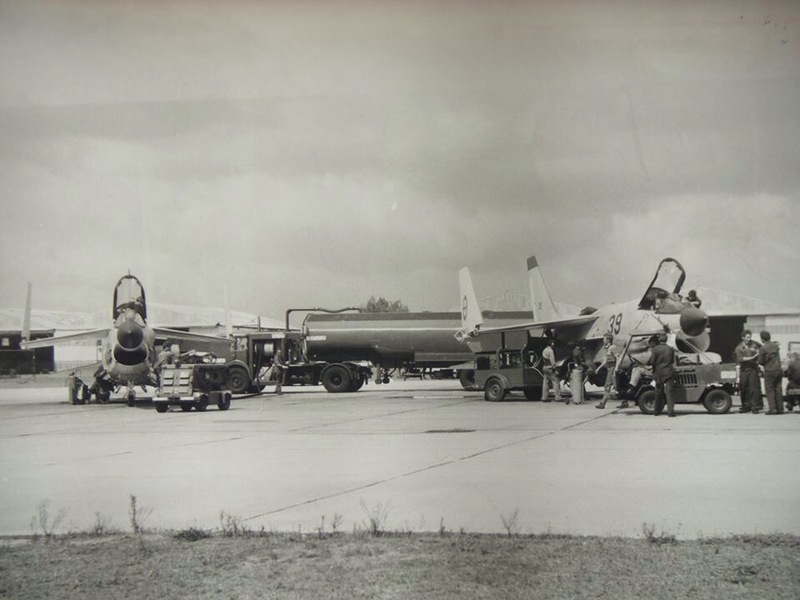 Deliveries of the FN to the Aeronavale began in October 1964 til February 1965 to the Aeronavale’s first fighter squadron Flotille 12F and Flotille 14F. 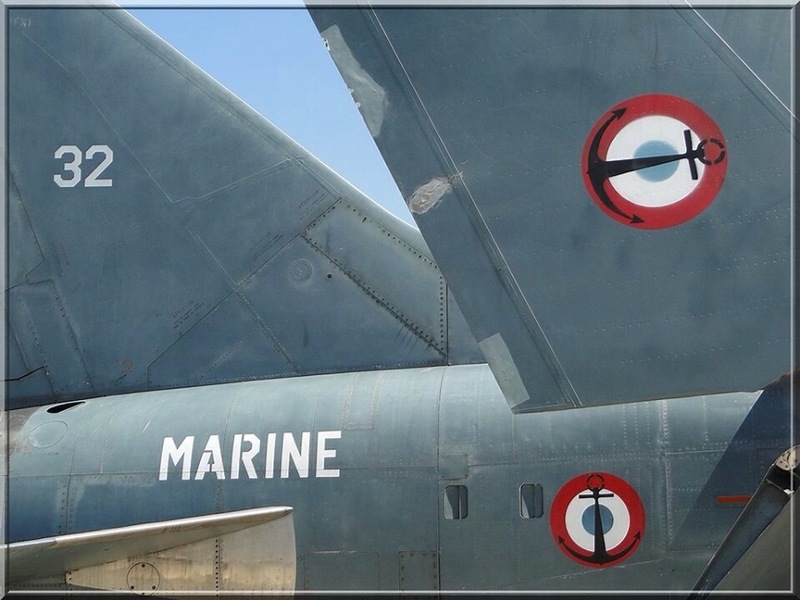 On 7 May 1977, two Crusaders went separately on patrol against supposedly French Air Force (4/11 Jura squadron) F-100 Super Sabres stationed at Djibouti. 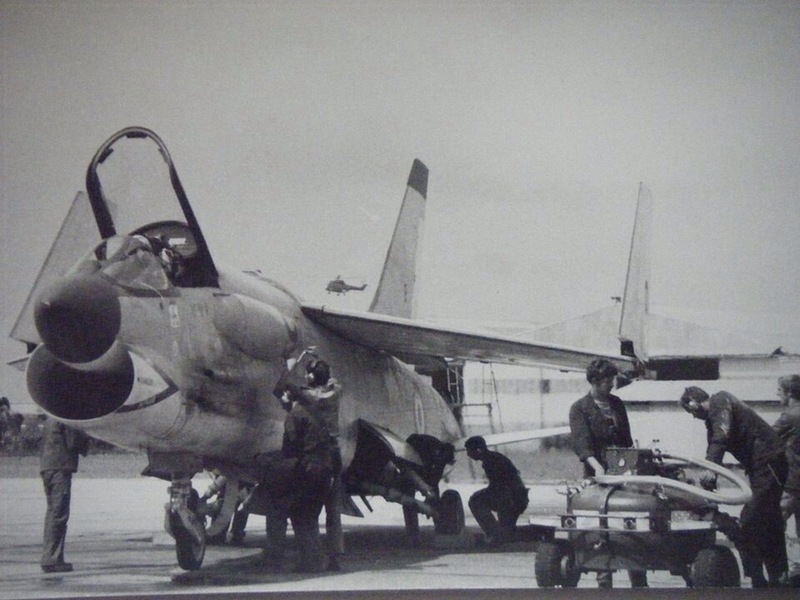 The leader intercepted two fighters and engaged a dogfight (supposed to be a training exercise) but quickly called his wingman for help as he had actually engaged two Yemeni Mikoyan-Gurevich MiG-21s. The two French fighters switched their master armament to “on” but, ultimately, everyone returned to their bases. This was the only combat interception by French Crusaders. 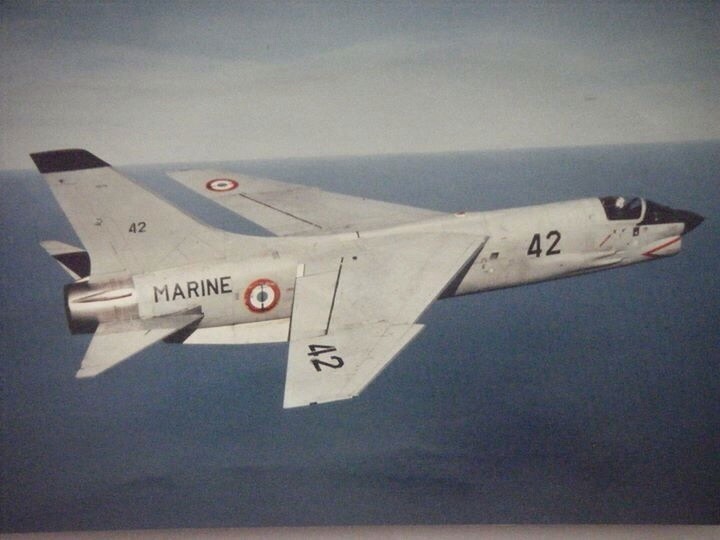 In 2000, the F-8P was replaced with the Rafale M.
A long period of service for a great airplane.